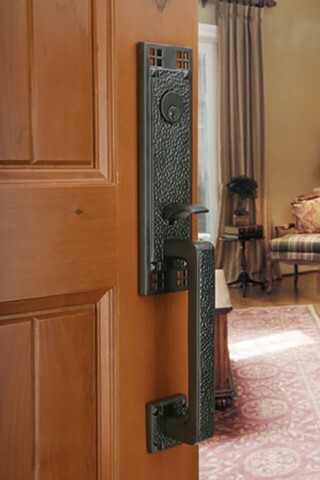 We are proud to sell Emtek decorative hardware at both of our locations. We can order the full line of Emtek hardware for you, including hinges, drawer pulls, locks, keyless entry locks, and handlesets. Emtek’s products are a cut above in terms of craftsmanship and design. Each order is custom assembled in their Southern California facility. There is no predetermined combination of knobs, levers, rosettes and finishes; Emtek lets you mix and match according to your own taste. Emtek custom assembled locks are typically shipped within 2 - 3 business days to decorative hardware dealers throughout North America. Most dealers receive orders within five business days. Due to the custom nature of Emtek orders, we require a 50% deposit when ordering Emtek products.